UCLan has become a Skills Development Partner of the Chartered Institute for the Management of Sport and Physical Activity (CIMSPA). As a result of this, we are offering student membership of CIMSPA to our 1st year undergraduate and postgraduate students in Sports Business Management and Sports Marketing and Business Management. 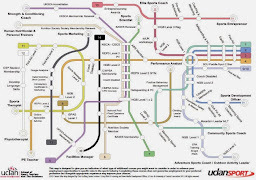 This membership will allow students access to a range of resources, including courses, seminars, CPD and networking opportunities to enhance their knowledge, skills and employability in the sports industry. 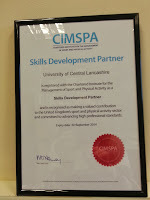 For more information about CIMSPA and its activities please click here.